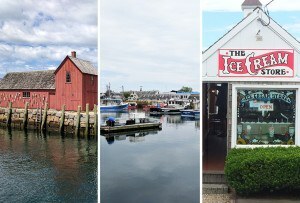 In New England, they outnumber conservatives 28 to 1. Why that’s bad for everyone. By Chris Sweeney·	 12/20/2016, 7:00 a.m.
To be clear: This student, whom I’ll call Ben, is not an alt-right provocateur railing against multiculturalism or a bombastic neocon. He is a skinny, stressed-out, 19-year-old Jewish kid from New Jersey who bounces his leg when he talks and prefers the Wall Street Journal to Breitbart. As with so many college students, he’s wrestling with his political identity and trying to figure out where he stands on some of the biggest issues of today, from the humanitarian crisis in Syria to police violence in America. Exploring his conservative viewpoints, though, is proving difficult to do on campus: There’s the econ professor who cracks jokes about Republicans during lectures, Ben says, not to mention the orientation event during which the speaker understandably talked passionately about the importance of Black Lives Matter, but glossed over the social movement’s assertion that Israel is an apartheid state that engages in genocide—a particularly thorny issue at a school where the undergraduate population is, according to Hillel, 47 percent Jewish. The definition of conservatism has never been more muddy—depending on who you ask, it can range from white nationalists espousing hate to moderates such as Governor Charlie Baker. At many of New England’s most prestigious colleges, political conservatism has been reduced to stereotypes, conflated with the alt-right and branded as being so wrongheaded that it’s not even worth considering, let alone hiring professors who embrace right-leaning ideas. 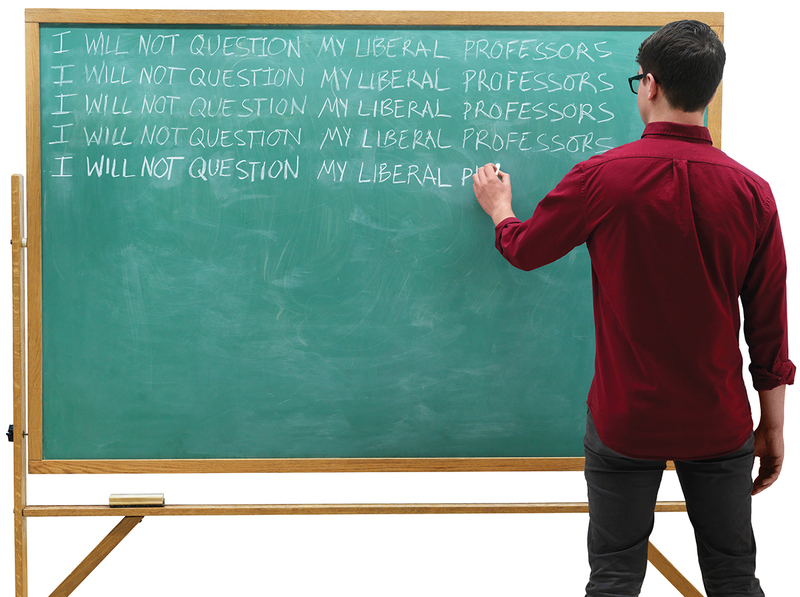 Long known as bastions of progressive thought, and home to the likes of Noam Chomsky and the late Howard Zinn, our region’s schools have always been suspected of putting the “liberal” in liberal arts college. Until recently, though, no one had quantified just how far left higher ed here had drifted. Last spring, Samuel Abrams, a professor of politics at Sarah Lawrence College, in New York, decided to run the numbers. From the start, he certainly expected liberal professors to outnumber conservatives, but his data—25 years’ worth of statistics from the Higher Education Research Institute—told a far more startling tale: In the South and throughout the Great Plains, the ratio of liberal to conservative professors hovered around 3 to 1. On the liberal left coast, the ratio was 6 to 1. And then there was New England—which looked like William F. Buckley’s worst nightmare—standing at 28 to 1. “It astonished me,” says Abrams, whose research revealed that conservative professors weren’t just rare; they were being pushed to the edge of extinction. This phenomenon has been quietly unfolding for years. Abrams, who describes himself as a centrist and earned a doctorate from Harvard, sees the decline as a canary in the higher education coal mine, undercutting the mission of college and diminishing the value of six-figure educations. When the student and teacher activists of the 1960s marched across many of these same leafy campuses, they were often fighting for freedom of expression. After all, isn’t that what being a social progressive is all about? Today’s movements, on the other hand, are widely aimed at preventing the established power structure from harming less-privileged groups. Consequently, student activists have banded together—sometimes alongside faculty—in support of safe spaces, protective speech, and trigger warnings. It is the best way, the thinking goes, to align with and support all identity groups. To some people on the receiving end, however, progressive rhetoric can sound shrill and an awful lot like suppression of speech and intolerant political correctness. The result? Many conservatives on New England’s campuses are feeling more marginalized and alienated than ever before. Conservative professors weren’t always so heavily outnumbered here. In 1989, according to Abrams’s data, the ratio of liberal to conservative professors in New England was 5 to 1. The divide widened slowly through the 1990s and then tore open shortly after the turn of the century. Then, between 2004 and 2014, conservative professors essentially fell off the face of the Northeast.